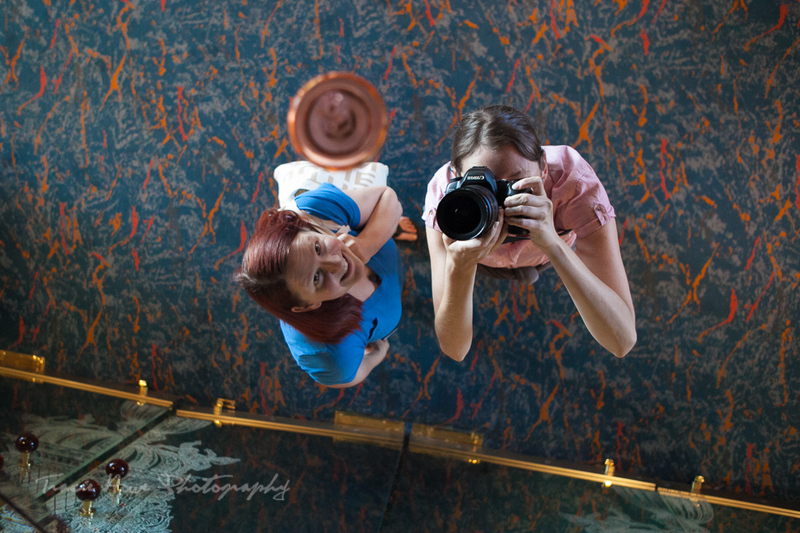 Jen & Tracie Go cruising - former Holland America crew back on board | Tracie Travels The misadventures of a restless photographer. 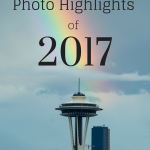 Travel photographer and travel blogger, Tracie Howe, wanders the globe seeking out new adventures and photo opportunities to blog about. Join her for a unique perspective on travel, travel photography, and travel tips. Written by Jen. Photographed by Tracie. 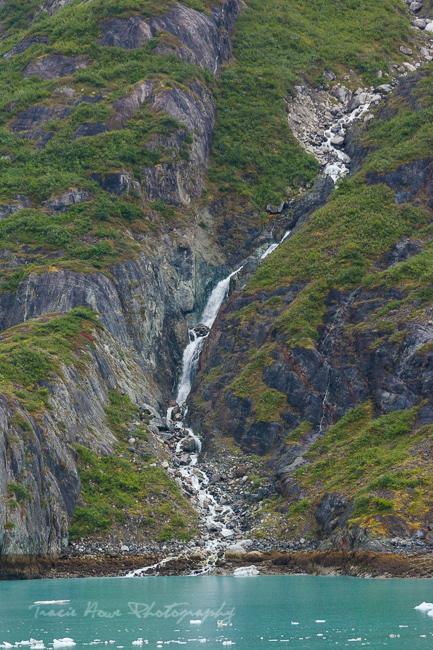 Some friends who work for Holland America cruise line recently invited me and a guest to join them for a week-long Alaskan cruise. I of course decided to invite Tracie, who hadn’t worked on a ship since the mid 2000’s. We thought it would not only be a great vacation, and blog opportunity, but also an interesting journey back to our sailing roots. Ships were a huge part of both of our lives for a very long time. 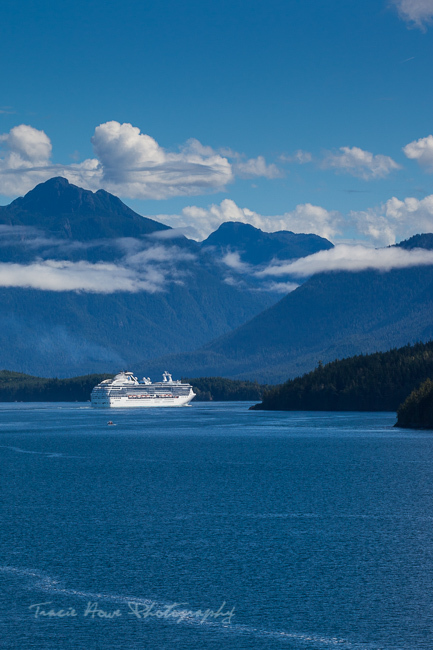 It seemed perfect to get back on a ship together- after all, we met working on a cruise ship in Alaska in the summer of 2001. The friend on board perk was not offered until a few years ago, towards the end of my sailing career and after Tracie had left ships. 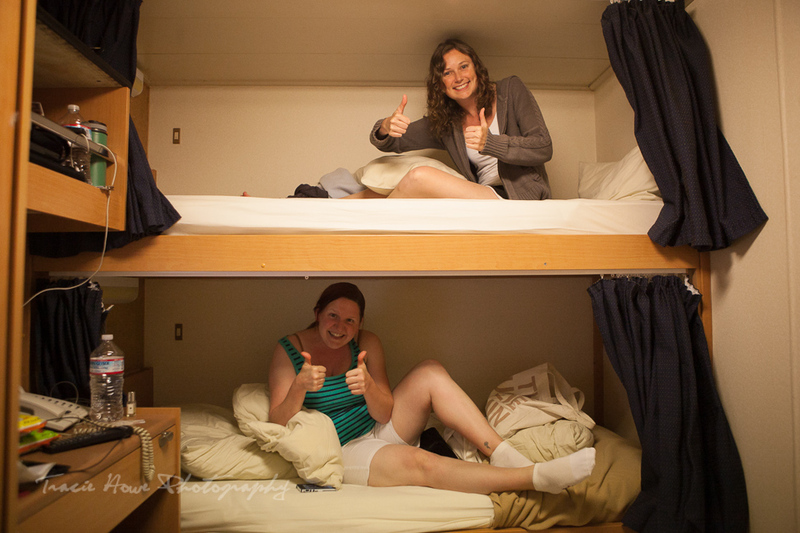 Sailing as “Friends on board” is sort of like being a hybrid of a guest and a crew member. It is a bit strange, and awesome, and naturally we jumped at the opportunity to do it. 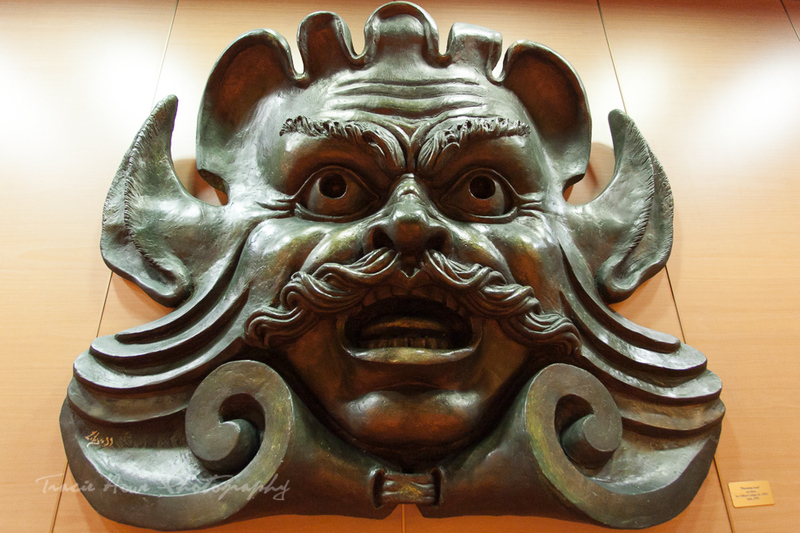 We thought sharing this experience would provide a unique perspective on cruising. 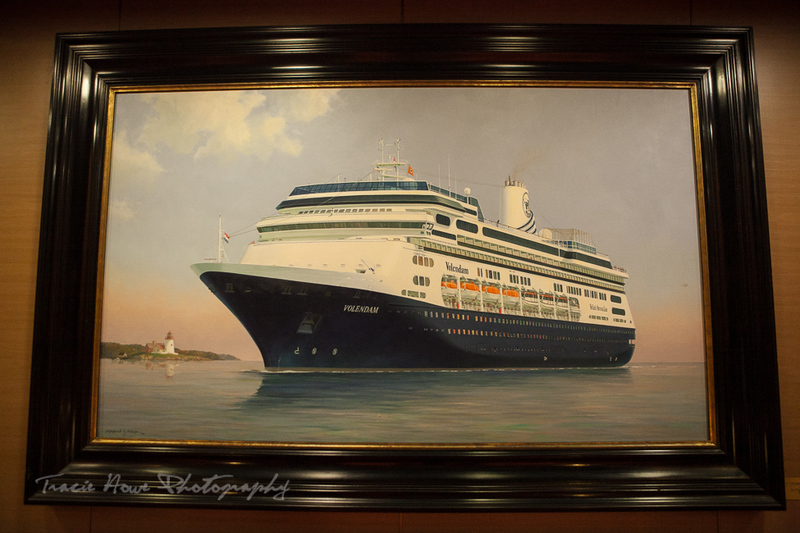 We joined my friends Inge and Scott (The Shore Exursions Manager and Techspert, respectively) in Vancouver on the MS Volendam. A model of ship Tracie and I had both worked on numerous times, we immediately felt right at home, even though so much time had passed. 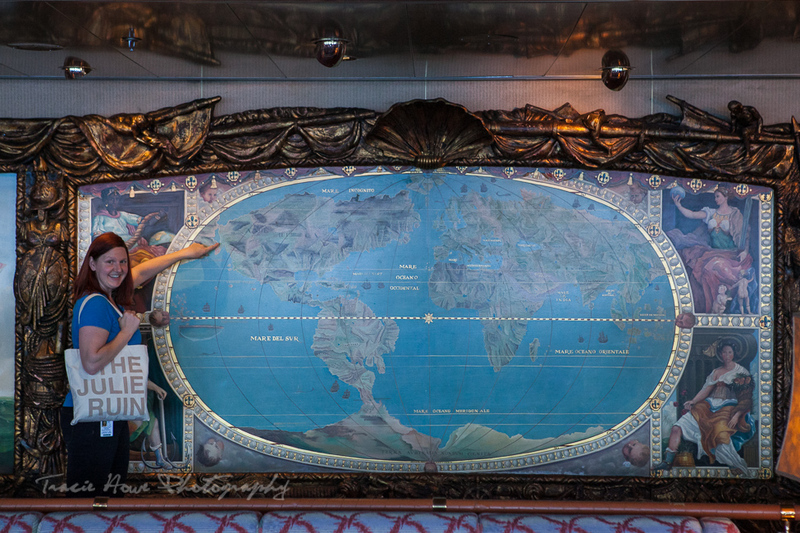 We spent a fair amount of time touring the ship, which involved a lot of traveling down memory lane and déjà vu moments. I was delighted to find that I knew quite a few crew members on board, and sad that Tracie discovered no one she knew from the old days. I am confident that on other ships she may have known several people, but you just never know who is going to be on what ship and it is the luck of the draw. 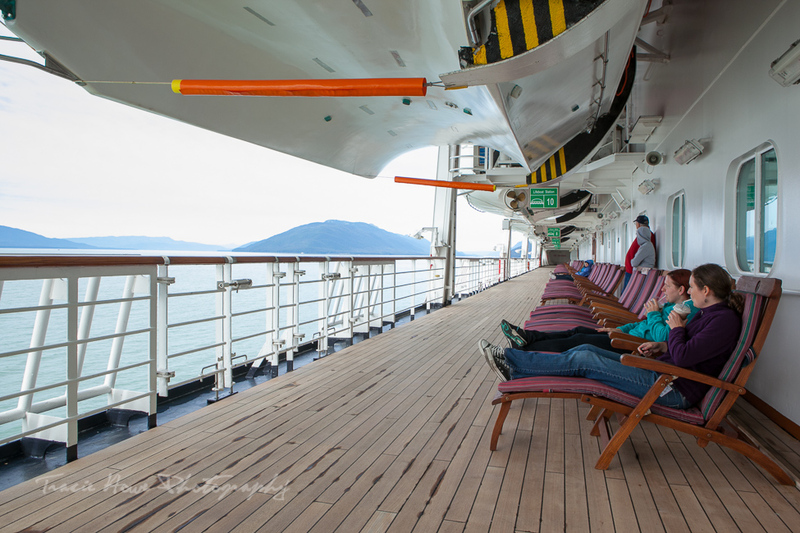 There were plenty of new people to meet as well, and the crew on ships tend to be very social and welcoming. It felt a bit odd to not have work duties, after so many years working at sea. 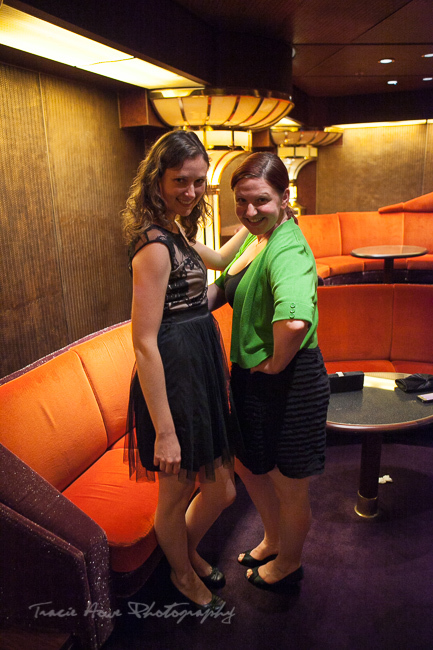 We both got the hang of it though, and made peace with our strange status on board. A cheesy snap by Scott as we lounge in our crew cabin for the week. 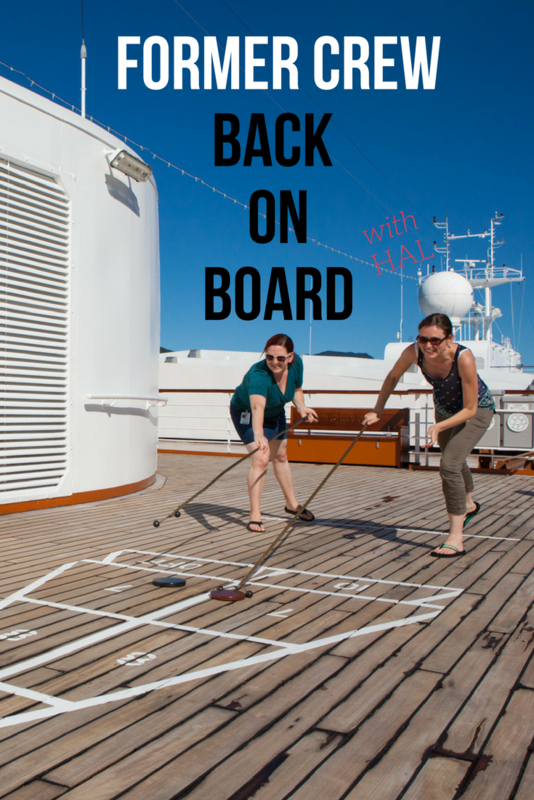 Not having to work meant that we could have fun and take advantage of the activities and amenities on board while Scott and Inge were working. 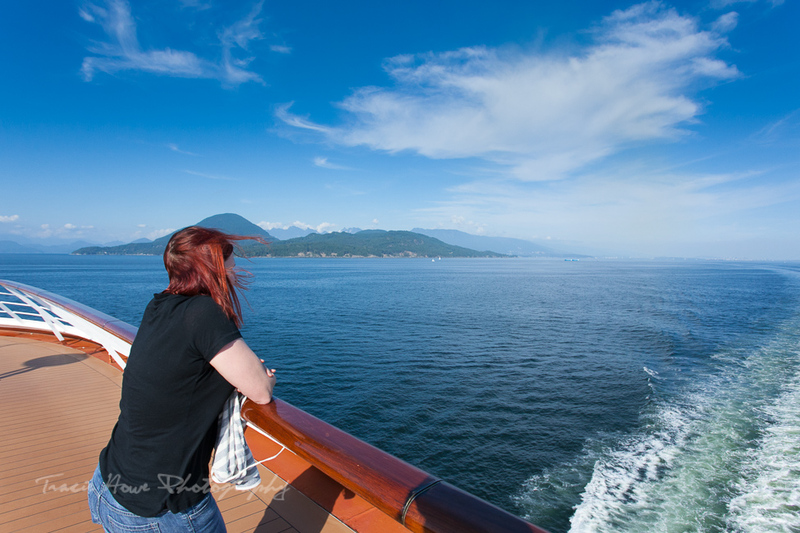 Tracie spent a lot of time taking photographs and enjoying the nature viewing from the ship. I joined her a couple of times for some photo shoots, but spent most of my time between the gym and wine tasting events. 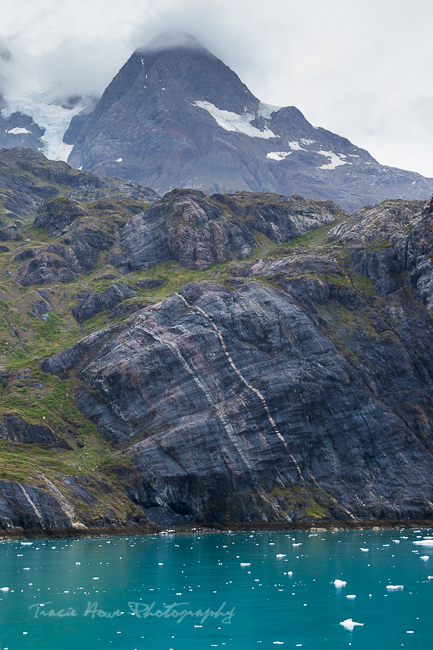 We sailed through scenic Tracy Arm and Glacier Bay. The weather was not ideal for photography, but it was stunning to see, even having been through both areas before. 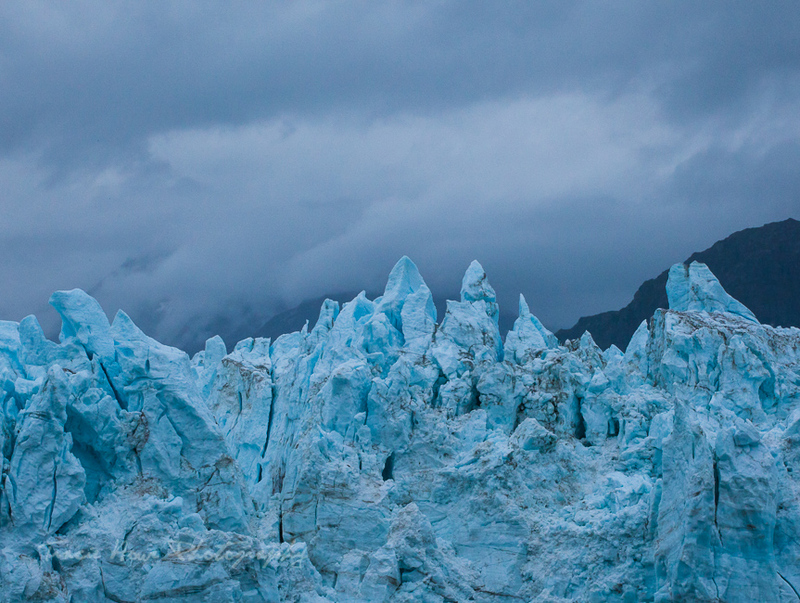 Massive glaciers are so beautiful, they can take your breath away. And seeing and hearing them calve never gets old, much like whale sightings. Another set up shot of us sailing through Tracy Arm with our coffees. 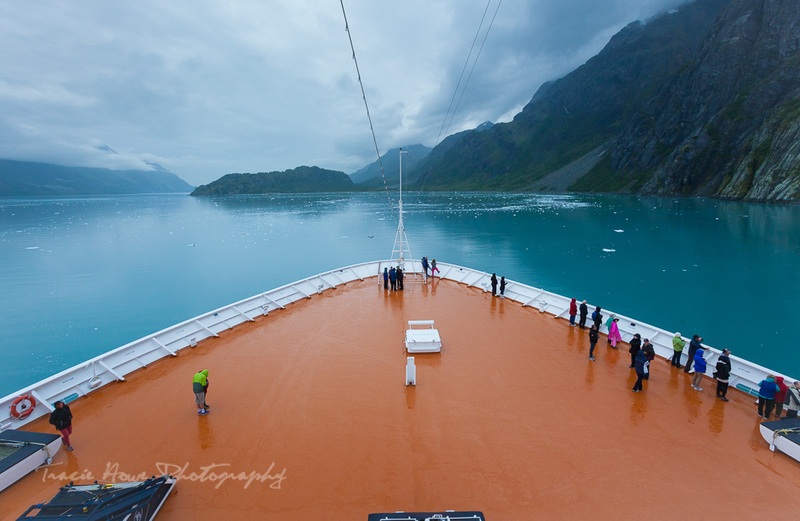 The bow of MS Volendam, sailing through Glacier Bay. Nearly every evening on board involved dining with our friends. This was done mostly at the buffet restaurant, though we gave room service a whirl one evening. On a formal night Scott and Inge treated us to a dinner in the Pinnacle Grill as well, the ship’s 5 star restaurant. 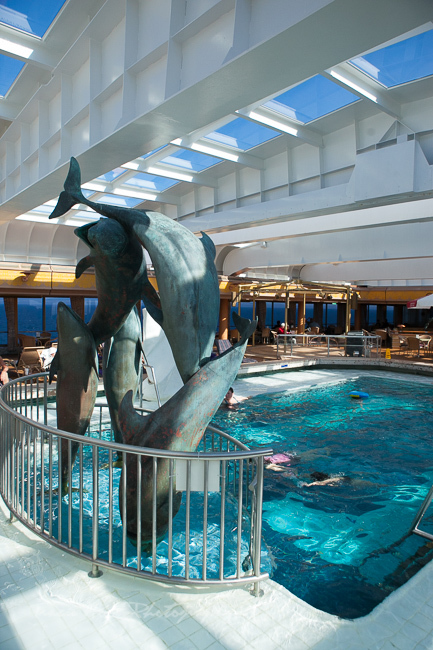 (As if they hadn’t spoiled us enough already with the cruise!) Excellent wine flowed, and multiple courses of savory, Northwest inspired cuisine were enjoyed with lively conversation and more catching up. Nightlife on board tends to involve a decent amount of time in the bars and lounges, whether or not one is drinking alcohol. Most feature live music and a nice setting to visit. We had drinks in nearly every bar over the course of the week, and nearly every night ended in the crew bar, the OB (Officer’s Bar). The OB is the hub of nightlife in the crew area of this ship. 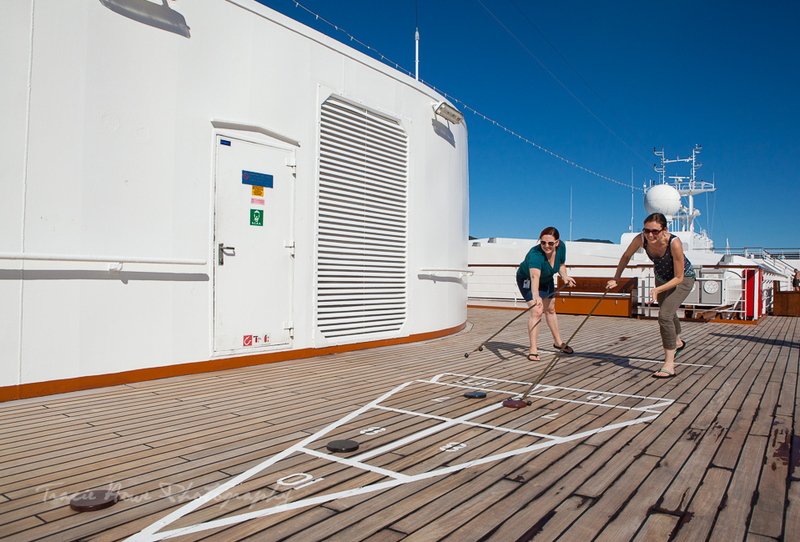 I explored the wine selections and Tracie enjoyed games of darts – her favorite ship past time. There was a crew party during our week on board as well. They happen about every two months or so and are a perfect opportunity for a night of dancing and hanging out with crew members from all the departments on board. We checked out a couple of the entertainment shows, including a classic, cheesy/ Vegas style cast show. The best show we saw was the comedian Julie Barr, an old friend I’d lost touch with and was delighted to reconnect with on this trip. With our hosts after a show. 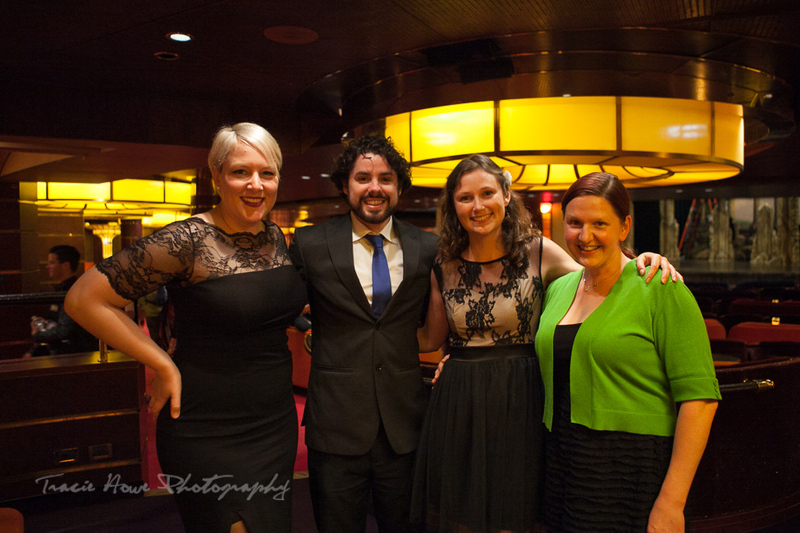 A rare look at us all gussied up! Thanks to friends for this shot and the one above! 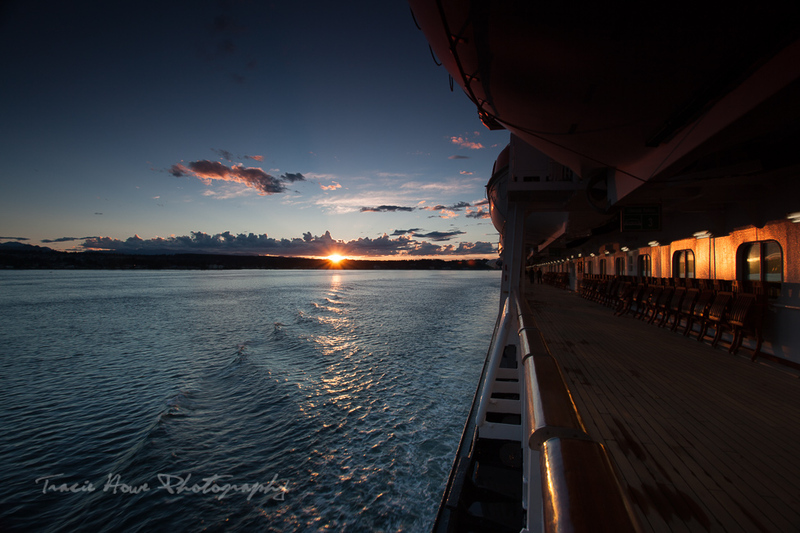 On our last night on board, Inge suggested we take a bottle of wine and watch the sunset on one of the more quiet decks on the back of the ship. 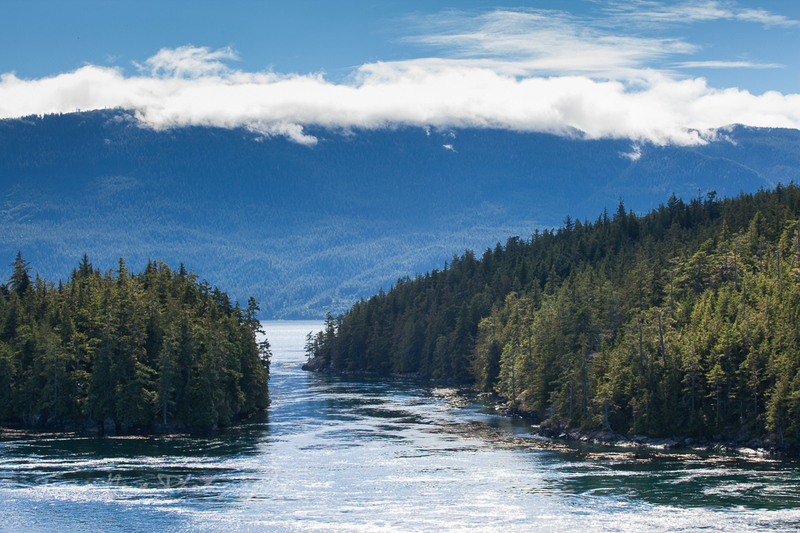 As we sailed through BC we were treated to stunning, sunny scenery. Tracie was off taking photographs, but fortunately found us before the sun set and captured one of my favorite photos of the cruise. 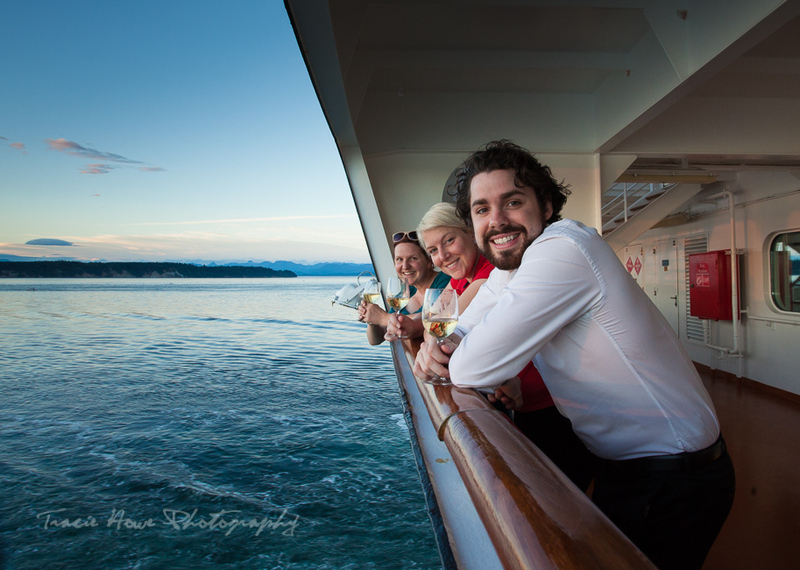 We toasted Inge and Scott, and thanked them again for an amazing Alaskan cruise vacation. The week flew by and just as we were really getting into the swing of life back on board, it was time to pack and prepare for the journey home. You’ll hear no complaints from Tracie or I though, as bizarre as it is to sail as part guest and part crew member, I’ll happily keep doing it for as long as my friends still working on ships will have me. Scott and Inge, thanks so much for having us!! 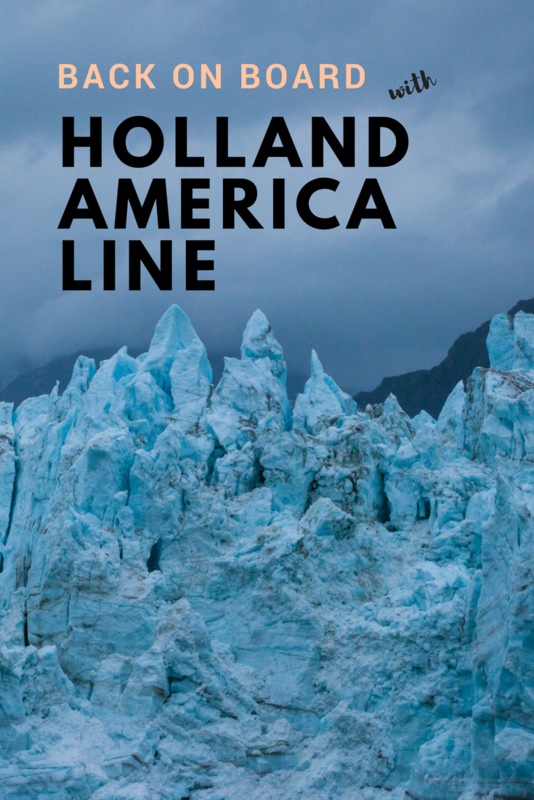 Our Holland America cruise included three Alaskan ports. 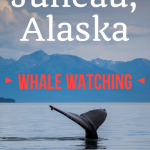 Stay tuned for posts featuring Juneau, Skagway, and Ketchikan!